Our Wedding Date Blog > You’re engaged! Now what? Unfortunately, the rules of engagement start almost the second you say yes. The first task is to share your exciting news with the world. And no, please don’t do it via a quick status update or tweet. Pick up the phone and call your family and friends. No one likes to be the last to know. He may have chosen you the perfect ring but it may not be the perfect fit. As you will be showing it off to everyone you will want to get it re-sized ASAP. Many places can do it for you in a few hours or a couple of days. Book in for a manicure while you wait for your ring, then you can start showing off that sparkler! 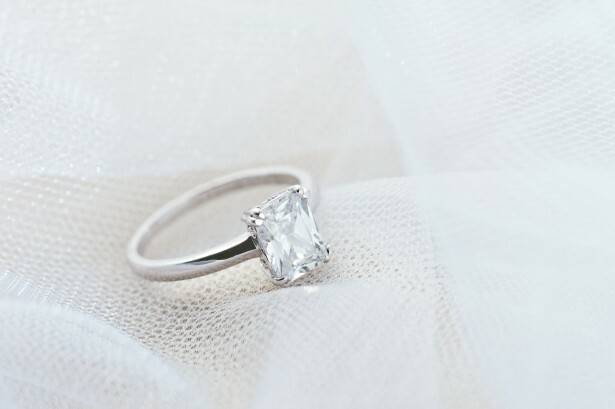 Nothing can replace the sentimental value of your engagement ring if you were to lose it, but having insurance can help with the financial loss. Call your insurer to add it to your home contents insurance or you can insure your ring through a company that specialises in jewellery insurance. Once people have congratulated you, the first question they will ask is ‘Have you set a date yet?’ Although you may not have a specific date in mind, as this can depend on venue availability, it is helpful to have a rough idea of when you would like to tie the knot. Even a month, a season or a year will help you get past the ‘big day’ question. Once you have told everyone the good news, a wedding website or blog is a great way to keep them up to speed on your wedding planning. Post photos, create a guestbook and add wedding details, venue advice, maps and anything else you want to share. Send it to those people who ask for information about your big day. Chances are, you have been planning your wedding since you were a little girl and have some idea of what you want for the big day. Now is the time to start serious research. Immerse yourself in bridal magazines, wedding blogs and online directories. Create your perfect wedding on Pinterest. Collect ideas that inspire you and record what you want for your wedding. Whether it is an iPhone app, a calendar, a wedding-planning binder, you will need these devices to help you to stay organised throughout the planning chaos. Some brides to be are simply born to plan their weddings. Others can struggle with the organising, negotiations and endless decisions. There may be some tasks that you want to hire a professional wedding planner to help you with. When you sit down and set your wedding budget, see if a wedding planner will fit into your budget before you give it serious thought. All weddings cost money, even the small ones. It is much better to open a savings account and deposit a set amount each month to fund your big day, rather than relying on credit cards and getting yourself into debt. Planning a wedding can be very stressful, but it is meant to be fun! Planning is part of the wedding so make it fun. Take some time out for yourself to relax and don’t forget to spend quality time with your fiancé in the lead up to your wedding day. Plan a weekly date night and talk about anything except wedding planning. When you are ready to start searching for venues, check out our wedding venue selection.